What does a heater do? The heater coil is the source of heat that ultimately comes out through the car’s dash louvers. The heater coil acts like the evaporator, only using hot water from your engine to generate a hot coil. The heater coil is located in an enclosure called a heater box or plenum (heater-evaporator box). When the heater is turned on, the air that is forced through the heater coil is ultimately pushed through various ducts and louvers before entering the passenger compartment. Why restore or replace your heater coil? Over time, many things can decrease the efficiency of your car’s heater coil or cause it to leak. The main failure of a heater coil is leaking, but contaminants from the car’s cooling system often block internal passages that prevent the coil from generating enough heat for the car’s passenger compartment. For AC vehicles, the heater coil and Evaporator coil are usually mounted in one housing unit. 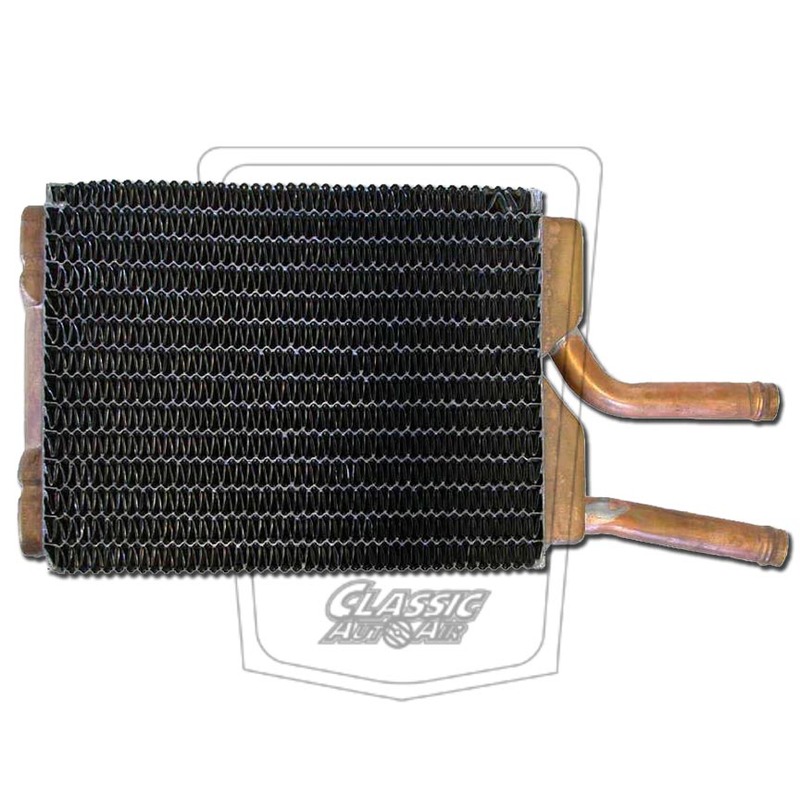 Classic Auto Air provides replaces, reconditions or re-cores heater coils as part of or in addition to the restoration. Buy a new Heater Coil or let us restore yours! We don’t offer replacement heater boxes, but we can restore yours. Click here for information on heater valves.